Hayabusa Training Centre Ltd. is proud to announce that Ryan Jimmo has signed with the UFC (Ultimate Fighting Champonships). Ryan is slated to make his UFC debut January 20, 2012 vs. Karlos Vemola (9-2) in Nashville, Tennessee. 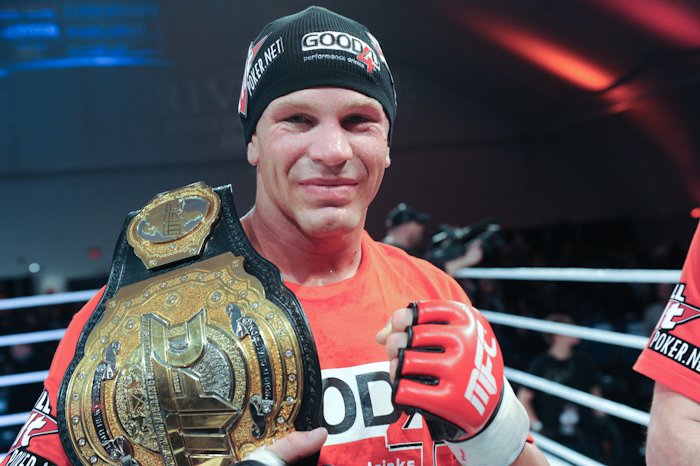 Jimmo currently holds the MFC LHW belt and has won 16 straight fights, which is one of the longest running win streaks in all of mixed martial arts. He has also defeated the likes of UFC veterans Rameau Thierry Sokoudjou, Marvin Eastman, Jesse Forbes and Wilson Gouveia. Jimmo is a staple on the Hayabusa PRO team & we wish him best of luck!